Police said someone in a moving car was hit by gunfire and that car then crashed into parked cars. 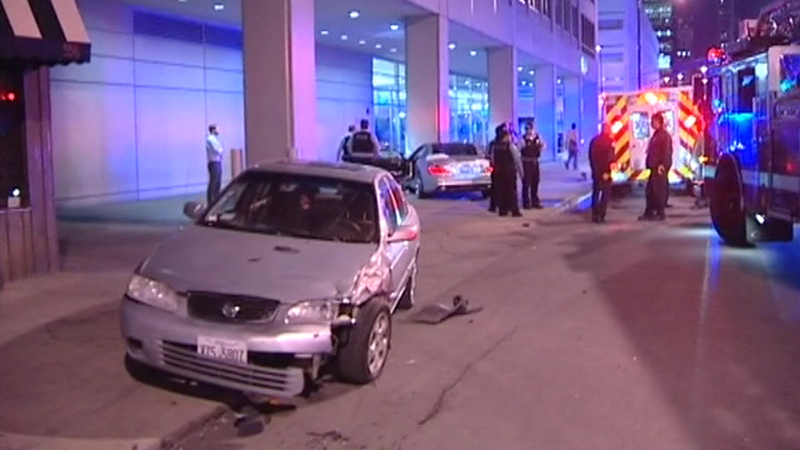 CHICAGO (WLS) -- A man in a vehicle was shot in the West Loop near Clinton and Van Buren on Friday night. Police said the man was shot in the back of the head and in the leg. The car he was in then crashed into parked cars. The shooting victim is in stable condition at Mt. Sinai Hospital.